Sunbathing is a favorite pastime for beachgoers in Nassau, but be sure to get out on the water! The island has pristine coral reefs teeming with fish that make it a scuba diver's or snorkeler’s heaven. Jet skis are readily available for rent, and close encounters with sharks, stingrays and dolphins are popular among visitors. If you aren't in town for the Junkanoo celebration, outlandish parade costumes and floats can be found on display at the Junkanoo Expo. Hot Tips: Prices can vary vastly. Be sure to shop around and negotiate. 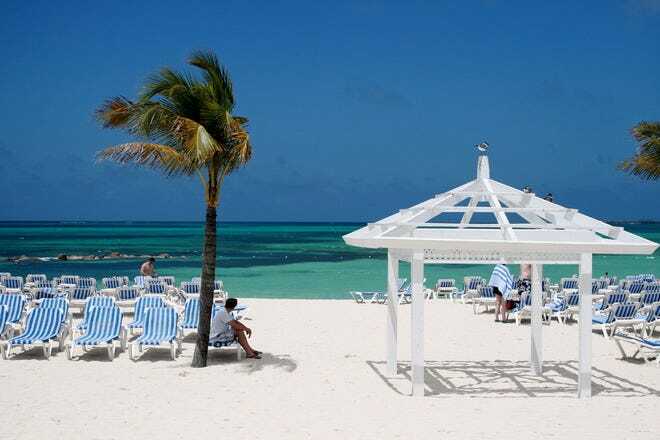 You can have your pick of hotels in Nassau right on the beach, with household names like Hilton, Sandals and Sheraton. Other mega resorts offer private stretches of sand, all-inclusive options and a myriad of water activities. The Atlantis Paradise Island consists of six hotels (or towers) and a casino blended into one, with a massive waterpark boasting slides, lazy rivers and rapids. Smaller hotels and inns provide a first-name-basis with guests, as well as a handful of budget digs. Hot Tips: Even if you aren't staying there, spend a day at Atlantis. No trip to Nassau would be complete without sampling fresh conch, a marine mollusk that is a staple in Bahamian cuisine. It's particularly popular served fried or in conch salad, a citrusy combination served cold - and it's rumored to be an aphrodisiac. Sweet Bahamian bread known as johnnycake is readily available, as well as fish dishes like grilled snapper and mahi mahi. The Fish Fry is the place to be for true local eats and a happening nightlife, while several high-end restaurants have sprung up with renowned chefs fusing Bahamian classics with American, European and Asian dishes. Hot Tips: Don't forget to tip the conch man! As is true on most tropical islands, there is no shortage of bars serving up tropical drinks in Nassau, particularly anything with rum: Planters Punch, Bahama Mamas and the Goombay Smash. A number of commercial bars have popped up in the cruise port which make for an easy stumble back to the ship, but they aren’t any different than what you’d find in the United States. For calypso music and mingling with locals, try the nightlife at Fish Fry or the handful of restaurant bars on Potter’s Cay. Hot Tips: Leave the upscale clothing at the hotel and don T-shirts and shorts when you hit the town. Most tourists shopping in Nassau flock to the Straw Market, as well as duty-free Bay Street, for local handicrafts, T-shirts and hats. 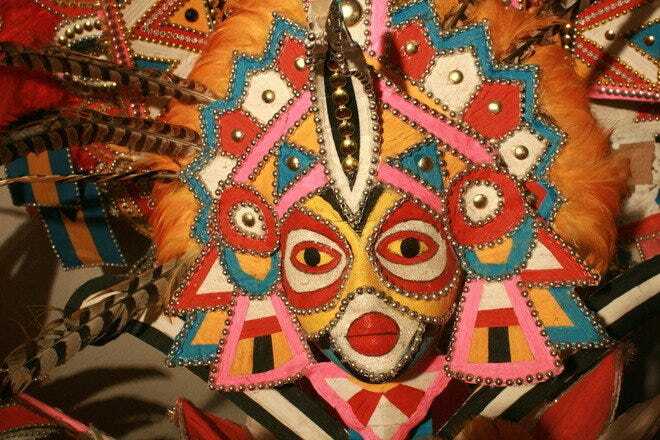 Keep in mind that the market is also a magnet for thousands of cruise ship passengers; if you don’t like crowds, there are several antique stores, art galleries and artisan shops stocked with straw baskets and bags, Junkanoo masks and Bahamian artifacts. Hot Tips: Many shops close on Sundays. Hot Tips: Decorative conch shell. Five of Nassau's most unique features and characteristics. Junkanoo, a street festival dating back to slavery, is the most vivid form of Bahamian cultural expression. Participants gather in the wee hours of the morning to "rush" in costumes down the main Bay Street in Nassau. Thousands of dancers and musicians adorned elaborate and colorful hand-made costumes and compete for top prizes in music and dance. The parade is most similar to Brazilian Carnival but instead of recorded music, "Junkanooers" shake cowbells, use whistles, blow brass instruments and beat goat-skin drums. The major parade takes place twice a year–Boxing Day and New Year’s Day but you can catch a glimpse of a mini “rush out” as a part of the entertainment options at any of the major resorts or restaurants. Whether you’re eating at a high-end resort restaurant or catching a meal at an outdoor casual eatery, you’ll be sure to find conch (pronounced konk) on the menu. The sea snail is a food staple in The Bahamas. Eating it raw in a spicy conch salad is the most popular–a combination of diced conch, green peppers, tomatoes, onions, lime and scotch bonnet peppers seasoned to taste with salt and black pepper. Natives believe that conch is a natural aphrodisiac and often encourage couples to partake in the dish if they want to increase their fertility odds. And if you’re not keen on eating the mussel raw, try it in conch fritters, conch n’ rice, cracked conch or conch chowder. Bay Street is where Nassau’s two major industries of tourism and banking collide. It’s not uncommon to see vacationers in swimsuits walking beside business professionals in the heart of historic Nassau. For centuries, Bay Street has operated as the country’s center for trade and business. Every year millions of tourists flock to Bay Street to enjoy a mix of pubs, cafes and art galleries and to bargain hunt and buy duty-free items. International designers like Gucci, Breitling and Fendi all have storefronts on Bay Street. A visit to Nassau’s famous Straw Market is a must–it reopened in 2012 after a devastating fire in 2001. The Straw Market is the best place to find handcrafted straw goods including handbags, hats and dolls. While sun, sand and sea are the things that draw more than 5 million visitors to The Bahamas every year, it’s that one-on-one interaction with the local people that makes a trip to Nassau/Paradise Island memorable. From taxi drivers to street side vendors, hospitality comes naturally to Bahamians. More than half of the country’s 300,000 plus population lives between Nassau and Paradise Island and many Bahamians work in the country’s top tourism industry. For a true local experience, the government offers a People-to-People program where visitors are paired with Bahamian families and spend a day sightseeing or storytelling over a traditional family meal. From underwater weddings with a dolphin as a ring bearer to exchanging vows on a beach at sunset, Nassau/Paradise Island is known for amazing destination weddings. More than 4,000 brides exchange vows in The Bahamas every year and the numbers are growing. Ever since Supermodel Cindy Crawford said “I Do” on a deserted beach at Ocean Club on Paradise Island in the 1990s, brides have flocked to the islands for their fantasy weddings. Couples should plan to be on island 3-5 days prior to their actual wedding date. Bahamian law dictates that both the bride and groom must reside on island no less than one day prior to applying for a wedding license and that process takes between 2-3 business days.